Year-round sports offer a thrill for all fans. Who needs Big League, when you have real-league action that a family can afford? You can’t beat the sports scenery in Pensacola — we have sports to cheer for year-round. And you don’t have to get hung up in traffic for hours to catch the action. • April-September: Pensacola Blue Wahoos AA — a Double-A affiliate of the Cincinnati Reds. • March to December: Five Flags Speedway holds short-track racing, with its nationally acclaimed Snowball Derby Nov. 30-Dec. 3. Around here, it can be so spontaneous, like what happened to me recently. I got the group text about 5 p.m. “Let’s go catch a game: Blue Wahoos round 6. RU in?” I had a 4-mile run planned, a sweaty evening run along the bay front, Of course, I’m in! Sometimes, you just need to kick back, relax and let the real athletes show their stuff. Watching our Blue Wahoos play ball in a beautiful waterfront stadium, bay breeze brushing your face, while you enjoy proper ballpark food and beverages … man! The Pensacola Blue Wahoos, affiliates of the Cincy Reds, wrap up their regular season on Sept. 6, (fingers crossed to extend the season for playoffs). The team has become a fast favorite in a baseball-happy town, but the stadium is an absolute stunner. You can see the bay, the island, and historic downtown — and enjoy the game on a blanket in the outfield or on one of many party decks. But the sports don’t stop there. By the time the Wahoos clear the diamond, we are ready for some football — NCAA Division II style. 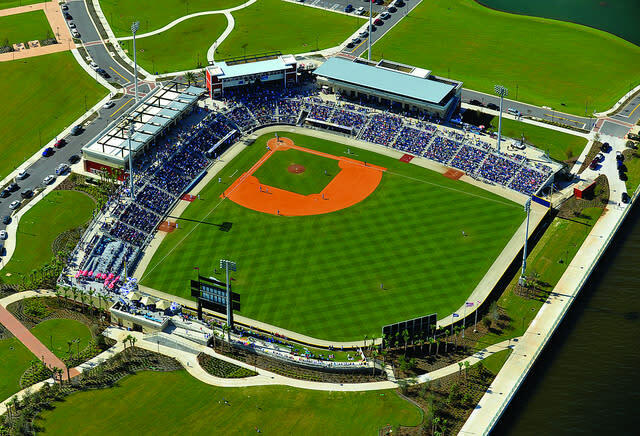 The Blue Wahoos stadium will serve as home again for the University of West Florida Argonauts in 2017. The Argos finished their inaugural season at 5-6, not bad for first-timers in the highly competitive Gulf South Conference. And this year, with returning starters, college transfers and a massive turnout for the camps, it’s a strong foundation. UWF had three sellouts at Blue Wahoos Stadium and drew more than 31,000 fans to the downtown venue over five home dates. Each home game drew more than 6,000 with a football capacity of 6,288. The Argos’ season kicks off at home on Sept. 9 against Midwestern State. There is an Argo tradition of winning, stamped with NCAA Division II National Championships in soccer, softball, tennis and golf. The Argos Men’s and Women’s soccer teams will be kicking off their seasons at home in September. The UWF women, 10-time GSC champions and one-time National Champions, play 14 of their 18 games against conference foes, working their way to the conference championship in October-November. The Pensacola Ice Flyers — three-time champions of the Southeast Professional Hockey League — play for a fun, family-friendly crowd at the Pensacola Bay Center. The Flyers reached the semifinals of the SPHL last year and are getting an early start with an open camp in October. The Ice Flyers will play 56 games over the course of 25 weeks through April 7. Their home opener takes the ice Friday, Oct. 27 against the Mississippi River Kings. They finish the regular season at home March 31 against Birmingham. I remember riding shotgun in the pace car on the steeply banked 1/2-mile track at Five Flags Speedway. Let me tell you, with your backside planted deeply into the seat, and seeing these guys and gals swapping paint around the half-mile oval, I gained a real respect for these racers. 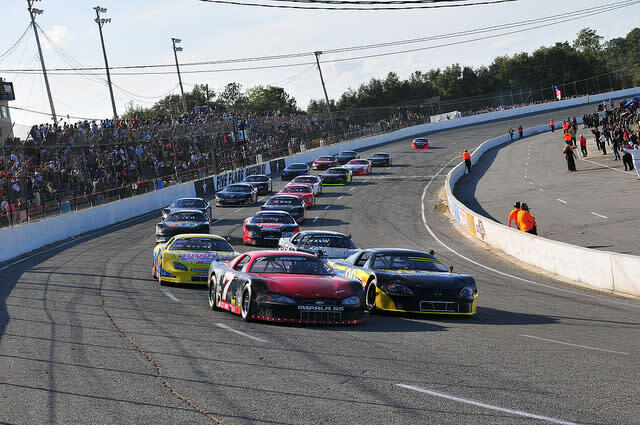 Racing heats up in the summer with Late Model and multiple levels of races. But this track always is known for the Snowball Derby, a 300-lap Super Late Model race that started in 1968. From the small-town roots, the derby has grown to national acclaim. It is known as a hotbed for future stars of NASCAR, but current stars will hit the track too. Kyle Busch won it in 2009. And here’s the best thing about our sports, you can enjoy a nice day on the coast and a family-friendly evening at a ballpark. See you there!